We believe that Reconciliation offers a focal point for building and sustaining respectful relationships between Indigenous and non-Indigenous Canadians across Canada. Through increasing awareness and education and inspiring civic action, our goal is to help heal our past and move us forward to embrace and celebrate an open, diverse and respectful society that is both sustainable and enriching. Màmawi Together is a community ‘grassroots’ based reconciliation initiative, with a priority focus on youth, working to bring Indigenous awareness and reconciliation initiatives to life across Canada. Our name is symbolic – “Màmawi” means “Together” in the Algonquin language, and honours the Indigenous language of the birthplace of this movement on the traditional unceded territory of the Algonquin nation – “Together” underscores how we can achieve positive change. To advance education through the creation of a community resource network that brings people, institutions and organizations together to learn, connect and act in response to the Truth and Reconciliation of Canada’s calls to Action by holding and facilitating school and community events and activities with a focus on Indigenous perspectives, histories and teachings. Healing our shared past as Indigenous and non-Indigenous people to embrace and celebrate an open, diverse, and respectful society that is both sustainable and enriching. Màmawi Together is a community-based initiative raising awareness of issues facing Indigenous and non-Indigenous people along the path to Reconciliation through education and civic action. 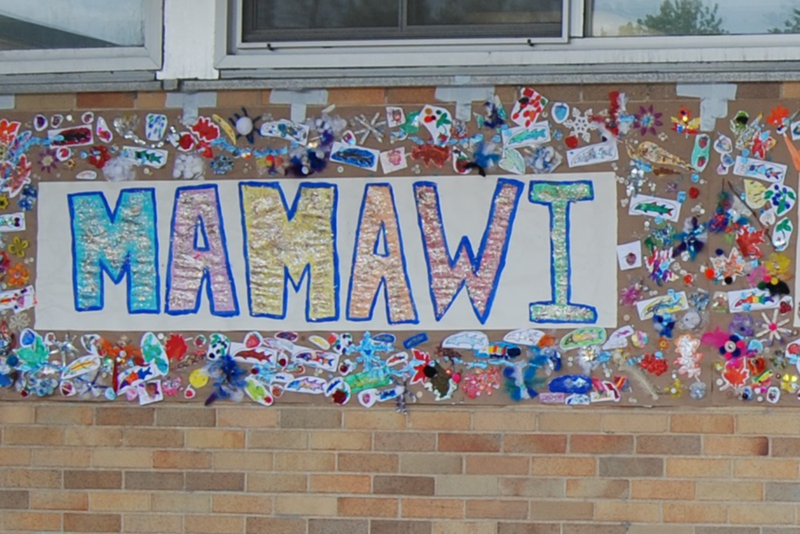 The genesis of Màmawi Together started in Ottawa in 2009 as a result of parent-led Indigenous Awareness activities at Pleasant Park School. Over the last few years, the impact of our community work has grown in the community to include teachers, students, administrators, School Boards, community, and corporate supporters. In spring 2017, to mark Canada’s 150 Sesquicentennial year and in response to the Truth and Reconciliation Commission’s 94 Calls to Action, 150 Indigenous and non- Indigenous students from both the Ottawa English Public and Catholic School Boards came together to start a Màmawi Together Youth for Reconciliation movement. Sponsored and led by the Màmawi Together team, the 150 students drafted nine powerful challenges that were presented to the federal government, Indigenous Affairs & Northern Development Minister Carolyn Bennett, Senator Murray Sinclair, Former Chair of the TRC and Honorary Patron, and the public. While many of the challenges demand the leadership of the Federal, Provincial and Municipal Governments, the Màmawi Together Challenge is directed at the educational system. We at Màmawi Together believe that the youth with the support of the broader community has the power to make this happen. This community reconciliation movement is the culmination of seven years of Aboriginal awareness activities launched by parents at Pleasant Park Public School to provide experiential learning outside of text books on Indigenous perspectives, their history and the impacts of the legacy of residential schools and other past and contemporary issues of Indigenous Peoples in Canada. One of the key leads was part of the Truth and Reconciliation Commission (TRC), and much of the drive and focus has been on addressing the 94 Calls to Action raised in and by the TRC process. The TRC tabled its final report June 2015, with 94 Calls to Action for reconciliation. A number of Calls to Action relate to education and challenge the current education system and curriculum. Central to all the recommendations, is the commitment to ensuring youth and the next generation of Canadians be provided with a better understanding of Indigenous history, culture, language and traditions, building stronger foundations of respect, appreciation and understanding. Federal, Provincial, Territorial and Municipal governments will be required to support reconciliation through changes in legislation, programs, and new investments. However, real change in the broader community is critical for true reconciliation to occur and create a more caring, respectful and equitable Canada. Màmawi Together believes that by working together we will be even stronger in affecting this positive and needed change. We believe that community is key; and, that all Canadians need to be involved in the conversation, specifically young Canadians still in the elementary and secondary school system. Today’s youth have a unique opportunity to learn more accurate history from Kindergarten to Grade 12 and at University eliminating the need to undo erroneous understandings and perspectives. Additionally our youth can become our natural ambassadors to teach and help guide all other Canadians in our healing journey. Want to learn more about the individuals who have been crucial to the success and achievements of Màmawi Together? Click the link below for full biographies. "Reconciliation is not an Aboriginal problem - it is a Canadian problem. It involves all of us."